Aged in American white oak barrels; finished in Bourbon, American brandy, Amaro barrels, and Cognac casks. 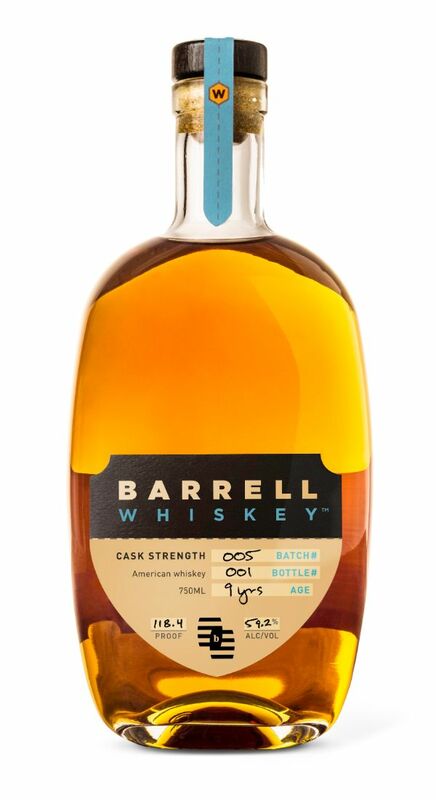 Barrell Whiskey Batch 005 is a spice driven blend of 9-year-old whiskeys finished in Amaro barrels, American Brandy barrels, Bourbon barrels, and Cognac casks. We finished each whiskey separately and assembled a final blend that also includes Straight Bourbon. This finish then blend technique allows us to focus on the key flavors of each component first, and then on harmony and precision while blending. We believe this batch is far greater than the sum of its parts. Appearance: A core of worn copper tapering out to golden straw edges. Nose: Sweet and captivating, with inviting aromas of apple pie drizzled with spring blossom honey, caramel corn and honeysuckle. It’s punctuated with robust notes of resinous herbs (rosemary, bay leaf) and enriched by soft, savory tones (velouté, crushed almond). Palate: It opens sweet and herbaceous, with notes of molasses, maple sugar, Mary Jane candies, and licorice root. Finish: Mouthwatering, with a spicy signature of clove oil, red chili oil, and Rainier cherries.